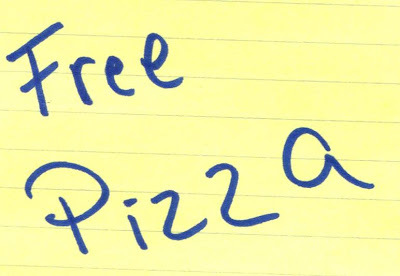 Monday February 22nd 2010 SliceTruck is going to give away free slices of Pizza. You must email free@slicetruck.com if you would like a free slice. We're also going to be launching a very exciting new menu option tomorrow. P.S. Avatar and The Matrix are the same movie.